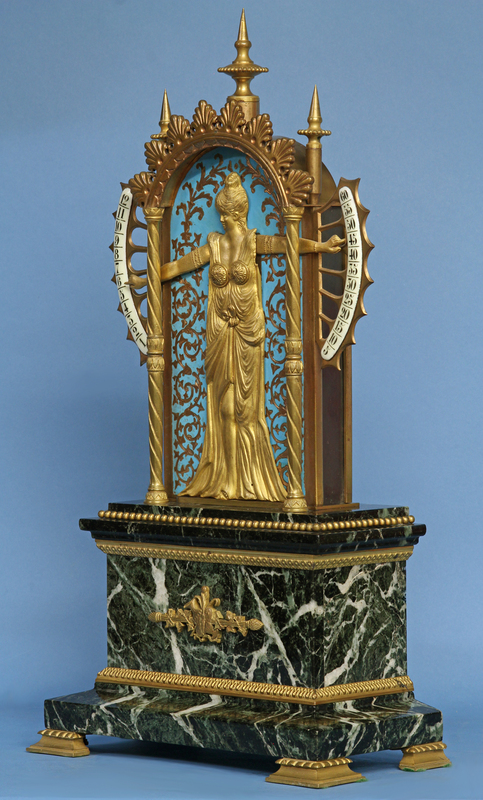 A rare c.1895 French Bras-en-L’air clock with the arms of the maiden indicating the hours and minutes. 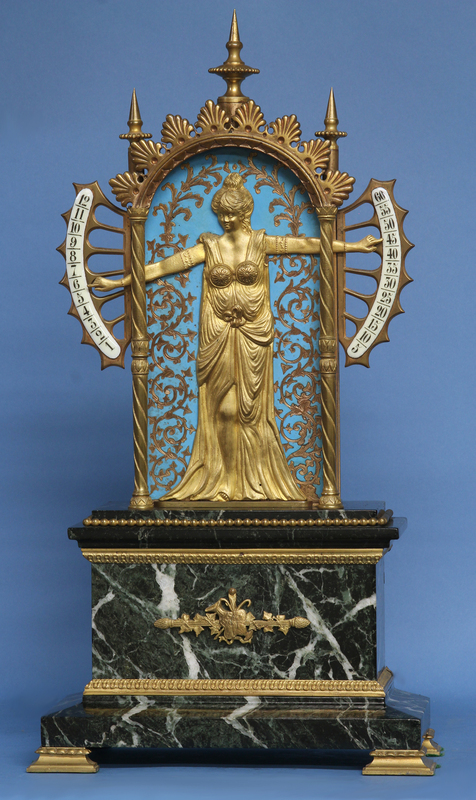 The gilt and patinated bronze and cloisonné case stands on a green variegated base. 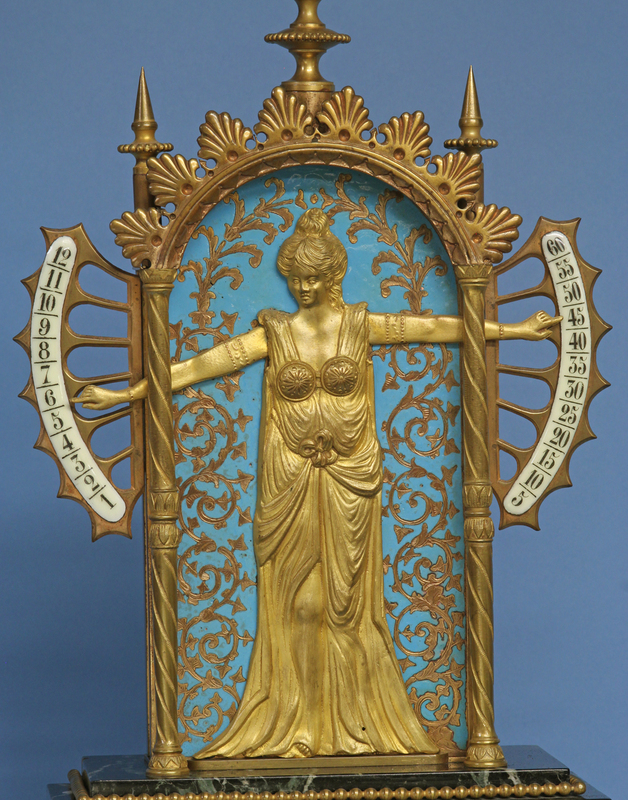 A gilt-bronze maiden in classical dress stands against a decorative light blue cloisonné ground. She points to the hours and minutes with outstretched arms against two white porcelain scales with black lettering. When the hands reach the top of the scales they drop down to start the climb again. The eight-day, time-only movement is mounted in the base, has a cylinder escapement, is wound and set out the back and lifts the arms as it runs. 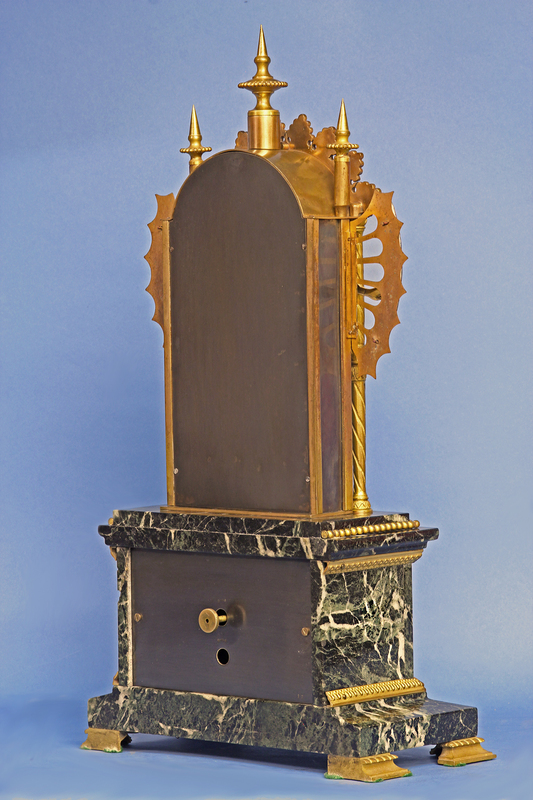 The clock is stamped ‘12’ in several places that include both back panels and the plates of the movement. 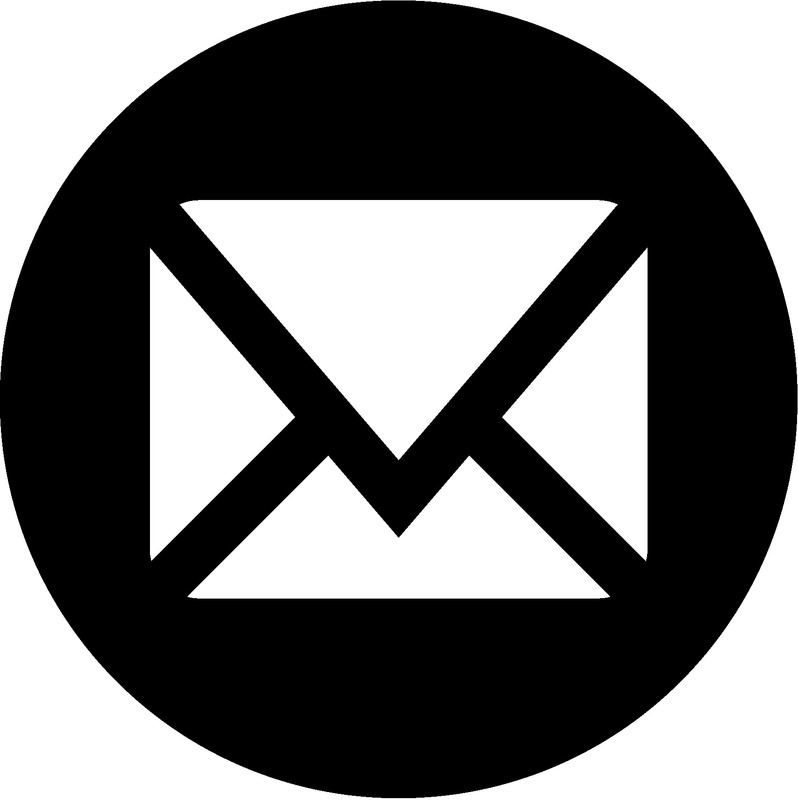 1982-1991 it was in the collection of Peter Weiss, 42/44 & 106 Silver Vaults, Chancery Lane Safe Deposit, London, WC2A 1QS. He had used it in his ads in Antiquarian Horology. The last ad says ‘Now Sold’ under the description of the clock. 1991-2008 it was in the collection of Dr. Bruce Frazin, Chicago, IL. 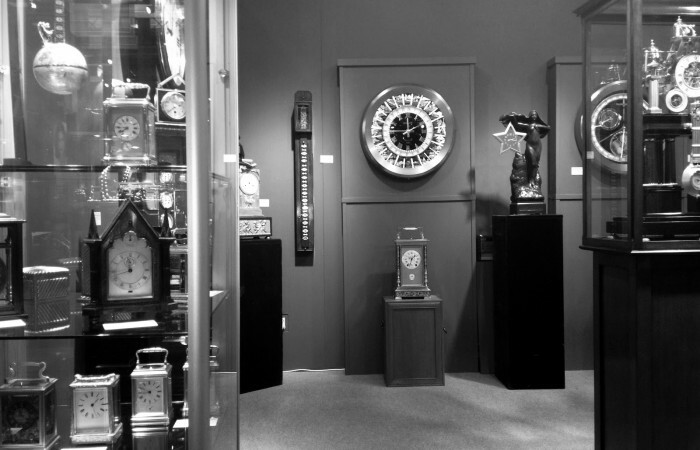 2009-present it was in a private collection in Denver, Co.
For a similar example see ‘Mystery, Novelty and Fantasy Clocks’ by Roberts, pg. 93.